Letter to H.E. 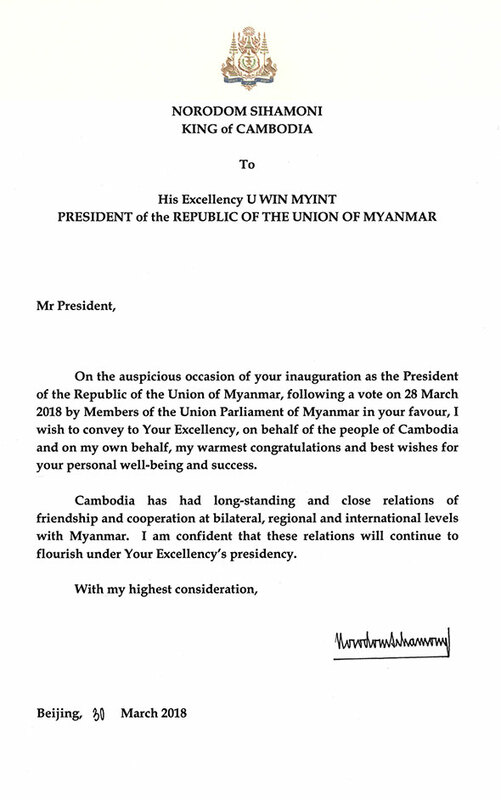 U WIN MYINT, President of the Republic of the Union of Myanmar. Letter to H.E. Mr. VLADIMIR V. PUTIN President of the Russian Federation.